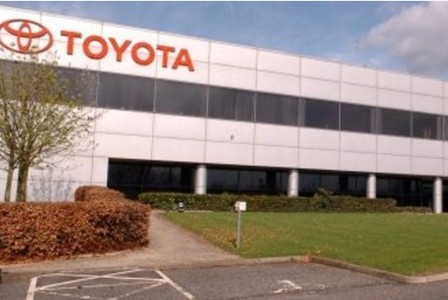 Toyota’s Derbyshire plant are to start producing a new model in the UK next year, giving the Burnaston workers a much needed moral boost. The Japanese car manufacturer, have announced they will make hybrid electric vehicles at the Burnaston plant in Derbyshire on behalf of Suzuki. The move is unlikely to lead to additional jobs, but will help secure futures for workers at the car factory. Marvin Cooke, managing director at Toyota manufacturing UK (TMUK) says: “This is good news for our UK plants and demonstrates Toyota’s trust in the capability of our workforce to deliver the highest levels of superior quality products.